MembraneQuant performs automatic evaluation on IHC membrane stainings (HER2, EGFR etc). 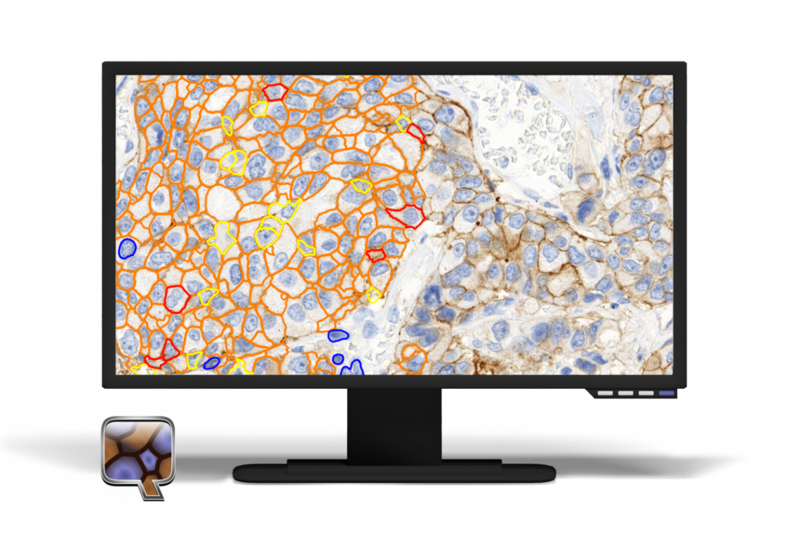 Using color deconvolution, MembraneQuant detects cell membrane and measures staining intensity on the chromogen channel. This way it is possible to calibrate the software to the actual stain protocol in the pathology lab. The algorithm categorizes the detected membrane to weak positive, medium positive and strong positive classes. This software has an IVD certification for HER2 quantification.